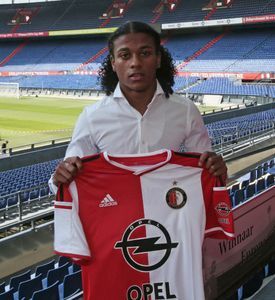 Rashaan Fernandes joined the famous Feyenoord academy from neighboring Excelsior. Many top clubs were showing interest, like Chelsea, Manchester City and Liverpool. He is considered to be one of the most talented of the Dutch 1998 generation, which also features players such as Donyell Malen, Javairo Dilorosun, Carel Eiting or Timothy Fosu-Mensah. It is more than certain that Rashaan’s name will get big in the footballing world, but currently he and his teammates have to focus on qualifications to the 2015 UEFA European Under-17 Championship, which will be played this May in Bulgaria.